I feel like I'm always running, running, running, whether it be to or from work, to pick up the baby, or meeting up for an appointment. I'm probably going to burn out soon, so luckily I planned ahead and scheduled a nice dinner with DH this Friday. It'll be just the two of us while my brother watches LO. Now with the baby around, we really have to make an effort to make sure we spend time with each other. Not to mention, now I've got something to look forward to at the end of my week. 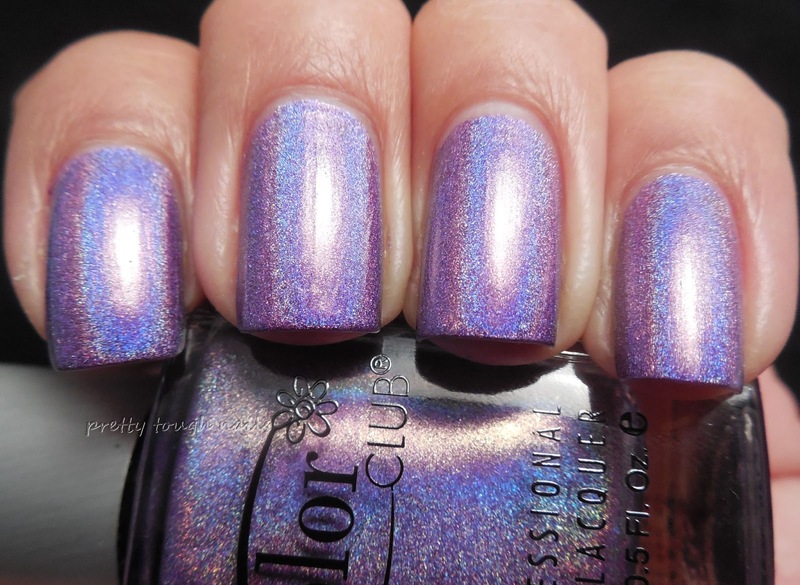 Tonight I have some quick swatches of my favorite pics from the Color Club 2013 Halo Hues holographic polishes. This is the second release of the Halo Hues, and I reviewed four from the first release in this post. 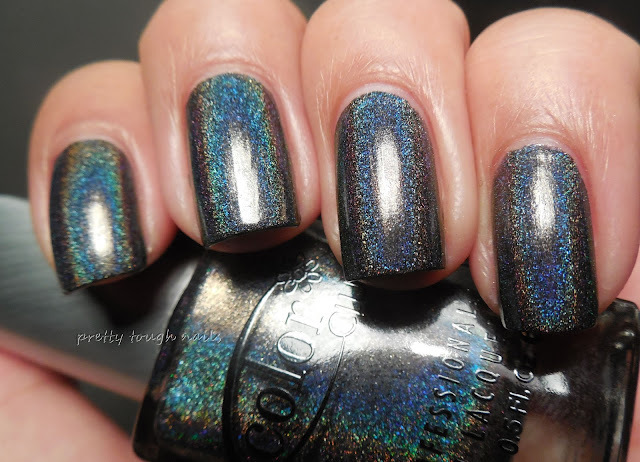 The holographic effect from these CC polishes are stunning, and the 2013 releases do not disappoint. 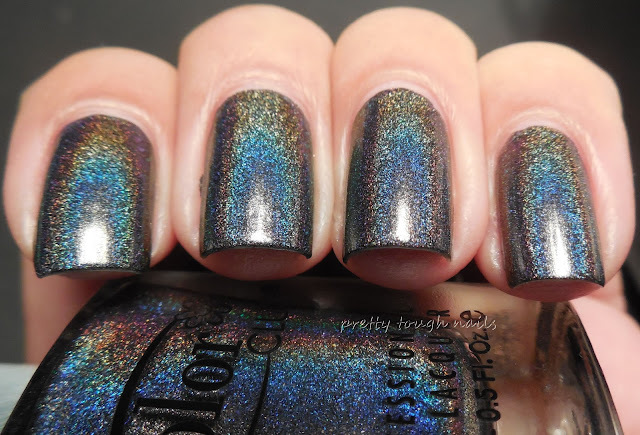 First I have Beyond, a rich and dark charcoal grey holographic polish that glows with rainbows in many lights. 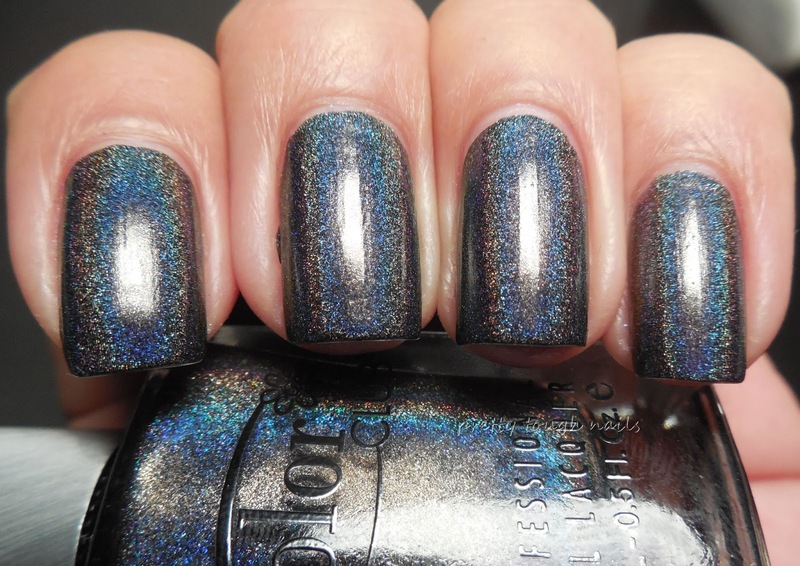 This is probably going to knock Layla Flash Black off its pedestal as my favorite dark holo. From afar it appears to be a standard dark vampy polish but up close the ever changing color show is in full effect. I found the formula to be a little on the thick side and I could have used one thick coat for opacity but opted for two thin coats out of habit. No base coat or topcoat so you can see it's natural beauty. The first set are in my light tent. 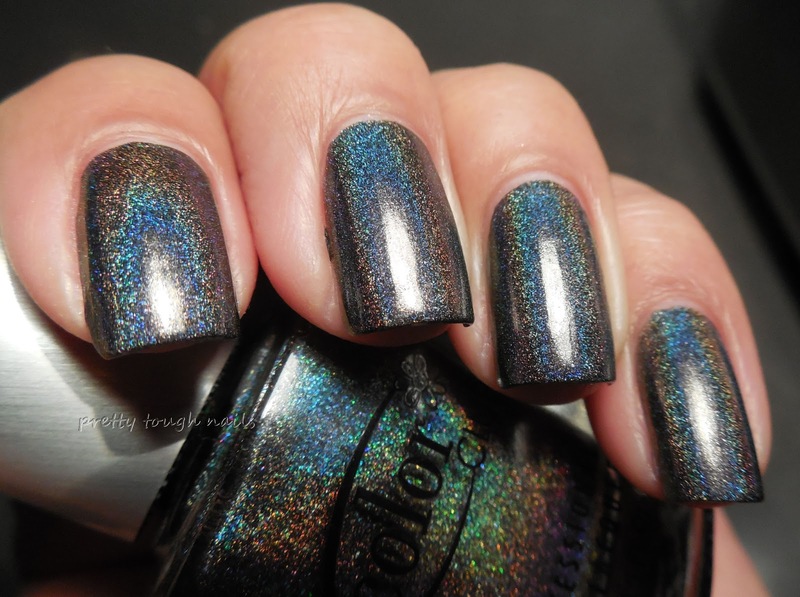 Next I have my other favorite from the 2013 releases and that's Eternal Beauty, a deep dark purple holo. I was hoping it would be a darker purple but it's more like a medium purple with a stunning dynamic rainbow. No problems with application, this went on like butter and I used two coats for opacity without topcoat or basecoat. I've seen swatches of the other colors from numerous blogs and forums and although none of them interest me, the holographic effect in each is truly stunning. 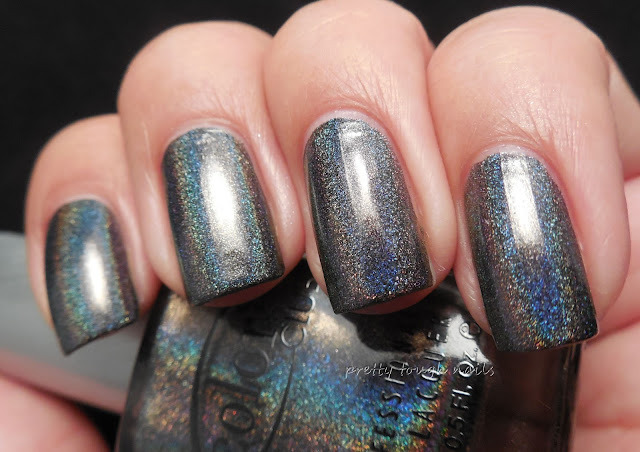 Color Club really hit the holographic nail on the head with the Halo Hues and I can only hope they continue the line with more colors or make them core rather than limited edition because they're truly special. 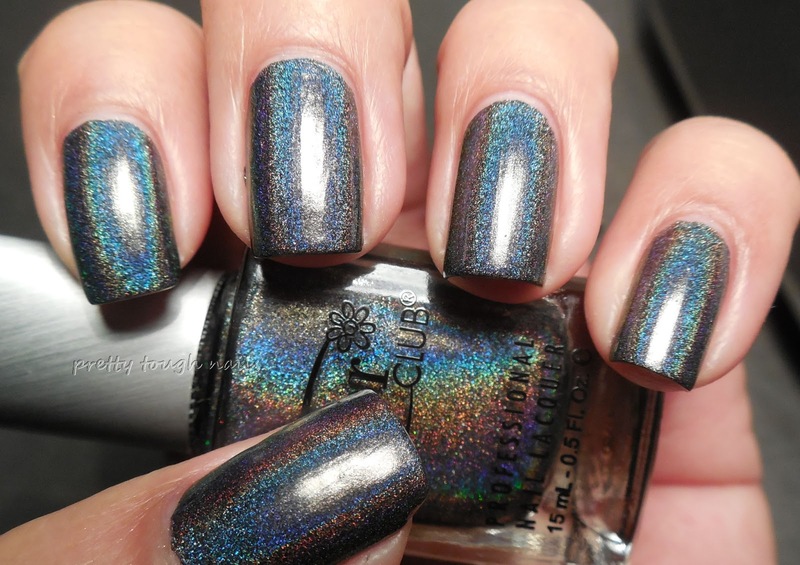 Do you plan on picking any of these up or do you think there are better holo polishes out there? Ooh beautiful, can't wait to get mine. Hi darling!! I remember you mentioning that you were cutting back on brands, but yes, I think you should break that ban for these! I didn't get them in SGV, although I do need to stop by sometime soon. I ordered these online at enospring.com, and they have free shipping to boot! took a week for them arrive despite paying a little extra for first class versus economy. xoxo! After last years swatches, I bought Cloud Nine and was very pleased with it. So this time I thought the 2013 collection was the best of the best, and ordered these two and the red and yellow. I have seen swatches of other holos from a brand called Perfect after that, which also look very strong, so now I don't know any more. I got 3 of them today, but the red was not labelled, so I hope it's not fake... But in the bottle it looks like a dark pink with a nice holo, so it's probably ok. I doubt it's fake too... it would be hard for them to fake those holos and bottles that quickly I think. The red sounds pretty!